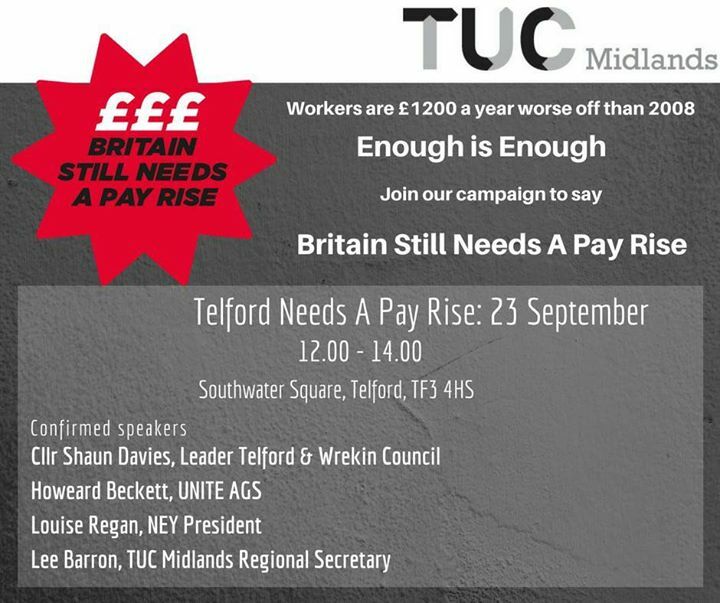 The TUC campaign comes to Southwater later this month. This is part of a national campaign by the TUC who claim that workers in 2017 are worse off than they were in 2008 by £1200 a year. 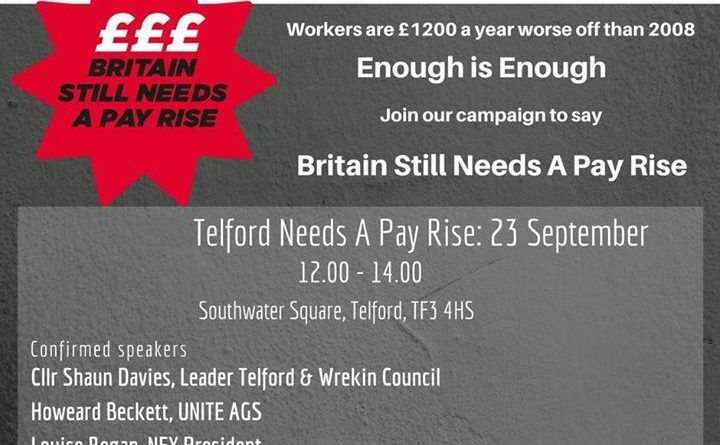 Cllr Shaun Davies, leader of Telford & Wrekin Council will be among those addressing the crowd at lunch time on 23rd September. we still gonna get our bins emptied after this ??? Everyone gets a pay rise and the prices rise to negate any pay rise. As easy as that, let’s just pick some more money from the tree! The left will never get it. For low skilled workers minimum wage is default wage, there is an over-supply of labour driving down wages and working tax credit is used as a subsidy by minimum wage employers. The unions campaign for these things, they’re part of the problem.